Slot games have come a long way since the 1800s when 50 images of cards were placed on paper and put on a reel. Now there are literally thousands of different slot games, and almost all of them are video slots. This simply means they are run by computer software. Even the slot games that you play in land-based casinos are video slots. How Are Winning Combinations Decided in Video Slots? There are many theories about slot games, but the actual truth is slot games are simply a game of chance. Once you hit the spin button the outcome is predetermined by a Random Number Generator. Of course, you will watch the symbols change but this is just for your enjoyment and excitement. What Are the Odds of Winning Video Slots? The odds of winning are always in the favor of the house, but this does not mean than you cannot win money playing video slots. In fact, you can win millions of dollars. The odds of winning millions of dollars vary depending on the slot game you are playing. 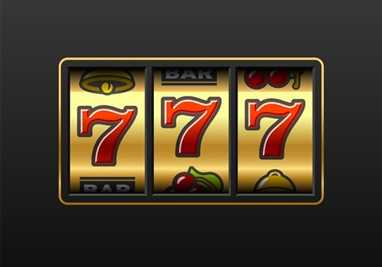 Slot games are designed to pay out a certain percentage. Some games pay out up to 99%. This means that 99% of the money that is taken into the slot machine will be paid back. This does not mean that you will win 99% of your money back. It just means in general that 99% will be paid back. The amount you win compared to the amount taken in is random. You could sit down at a slot game and hit the progressive jackpot on your first spin, or you could sit down and lose $100 without winning anything. Each time you press spin on the slot game you have exactly the same odds of winning as you had the spin before. The spins are in no way related to the previous spin. This means that you can win large amounts of money back to back. Many people think that slot games are set up to pay out huge amounts at a certain time, but this is not the case. It is all completely random. I don’t know how many times I have heard the phrase “That slot machine is due to hit because it hasn’t paid out big in a while.” I wish this were true so that we could keep track of the best slot games to play, but it isn’t. How Do I Choose a Video Slot Game? The best way to choose a video slot game is to choose a game that you enjoy playing. Some people have lucky feelings about a certain game. If you have a lucky feeling then by all means you should choose to play that game. You will also want to choose a game that you understand. There are so many different video slot games to choose from these days. You will want to know the winning combinations, if there are bonus rounds and how to trigger them, and if there is a progressive jackpot and how to win it. Once you clearly understand how to play the game then you should simply start playing and have fun. If you don’t understand how to play the game after you have read the rules then you can always choose to play the game in the free play mode. This allows you to play the slot game for free without risking any of your own money. Once you are comfortable playing the game you can switch to the real money game and begin playing for real money. There is no set strategy for winning at video slot games. As we mentioned earlier, slots is simply a game of chance. However, we do have a few pointers to maximize your winnings. Bet within your budget – You should always choose a slot game that you feel comfortable playing and that you can afford to play. You must bet the maximum amount at many games in order to play bonus rounds or cash in on a progressive jackpot so you will want to make sure that you have the money available to bet the maximum so that you don’t lose out on huge winnings. Play at a site that offers bonuses – Most online casinos have deposit bonuses and loyalty bonuses. This extra money can significantly increase your potential to win. Make sure that you know the rules that are attached to the extra money. Most sites require you to play through a certain amount of money before you can cash out your winnings if you take a bonus. Have fun – Let’s face it, only a small percentage of people get rich playing slot games. I have no expectations when I play slots. Of course, it would be great if I won a bunch of money, but the reality is I just like to play. I enjoy the thrill of playing, and if I do win some money then it is just a bonus. Playing slots online can give you a little break from the monotony of everyday life. So, choose a game that you enjoy playing and have fun! Here at Slots.ca we want to help you get the most out of your online slots experience. That is why we have chosen the most reputable casinos with the best slots games available online. We will keep you informed of the latest slot games and bonuses so visit us often to keep up to date on the online slots world.